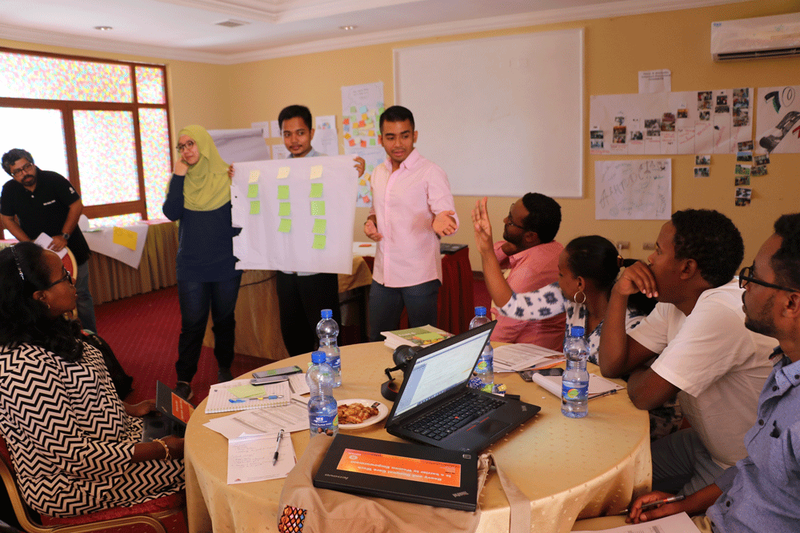 Inspired by the Global Learning Event, the EYW team in Ethiopia is helping to put young people at the heart of climate-friendly businesses and to play a positive role in shaping a cleaner, more sustainable future. For people in developing countries, climate change is not just an item on the political agenda when nations meet once in a year to negotiate ways of mitigating its causes and adapting to its impact: it is a matter of survival. In Ethiopia, local weather variability linked to climate change has led to the loss of some crop varieties and the introduction of invasive species, adding to the growing challenges for farmers. People need action – not rhetoric – to shape a liveable planet at the same time as addressing economic growth and overcoming poverty. Climate-friendly businesses are urgently needed to replace the conventional economic activities that ruthlessly exploit natural resources and exhale greenhouse gases. Young people need to be at the forefront of these initiatives, taking the lead in shaping their climate and their future. The Empower Youth for Work project in Ethiopia is making an important contribution to the economic and social empowerment of young women and men in climate change affected rural areas. 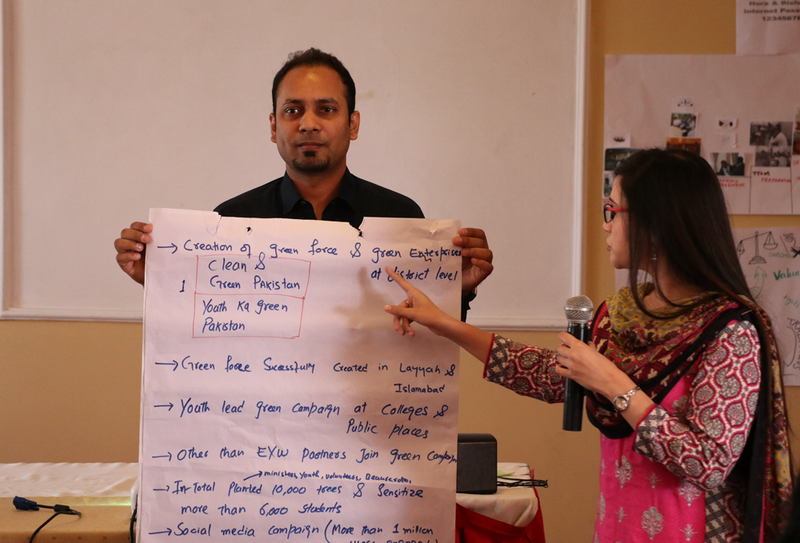 It has carried out a participatory vulnerability risk assessment with selected youth businesses; this enables young people to identify and prioritize the main problems they face and to work together to find solutions. Climate change awareness is mainstreamed into the EYW training courses, and the program enables youth groups to get involved in ecofriendly business activities and climate adaptation measures, such as using sustainable pest management methods and fertilizers to improve crop production. The EYW Global Learning Event in Ethiopia in 2018 provided a fruitful learning experience for the EYW team in Ethiopia. The event created a welcome space where EYW teams from the four program countries were able to share their innovations and experiences on climate action – such as the youth-led green campaigns in Pakistan, a trash recycling competition in schools in Indonesia, and the street resource centers set up by the Bangladesh team. Inspired by lessons from the other three countries, the Ethiopia EYW team came away with many plans for their program; for example, they will now experiment with different media types to reach a wider audience, and increase organic food production among young people. The team aims to link youth with climate-smart technology sources and service providers, and will provide extended business development support to strengthen young people’s climate actions and sustainable enterprises.